With prizes totalling $26 000 the biennial Hazelhurst Art Award showcases outstanding art created with, on or about paper. Artists compete for the $15 000 major award, the $5000 Emerging Artist Award, the $5000 Friend’s of Hazelhurst Local Artist Award, and the $1000 People’s Choice Award. The exhibition will present a diverse range of paper media and industry techniques, including drawing, printmaking, photography, sculpture, paper cuts and video. Entries close Friday 17 March 2017. 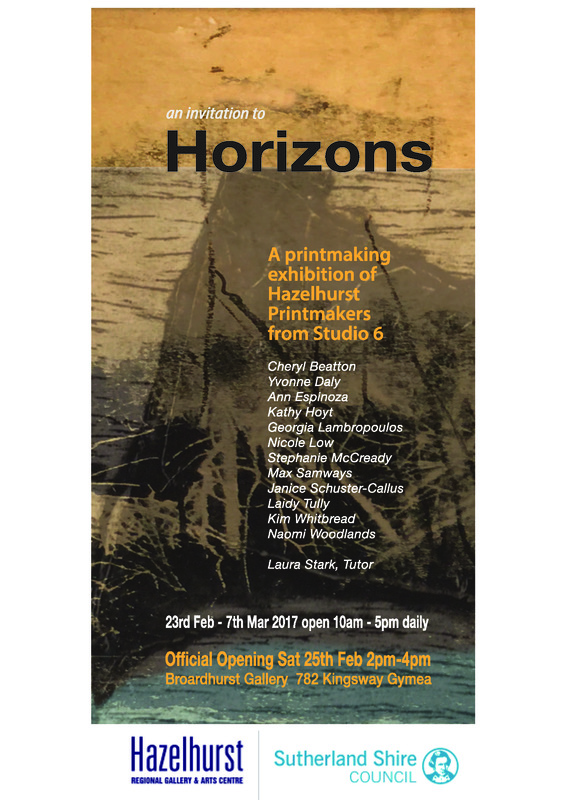 A list of finalists whose work has been selected for the exhibition will appear on the Hazelhurst website on Monday 10 April. Finalists will be exhibited at Hazelhurst Regional Gallery & Arts Centre from 20 May to 16 July 2017. The entry fee is $45 per artwork. There are no size restrictions for works entered into Art on Paper.